Our work ethic is based on scientific rigour, effectiveness and honest results. We are a young, experienced team that oozes enthusiasm and fun. Hover over the image to read more. We are a team of dedicated professionals with a strong commitment towards animals and their owners. We believe that dogs and cats are not simply pets, but life-long mates. Therefore, people that take on the responsibility to welcome a cat or a dog (or even both!) in their lives should consider them as a new member of the family and work on integrating them into their daily activities, both indoors and outdoors, as well as providing the love, companionship and play needed for their well-being, integrity, socialization and inclusion. Children must be taught to respect animals, but they should also be allowed to take part in daily chores. Having said that, adults should choose their companion very carefully without forgetting that their temperament and education will play a key role in their life together. Additionally, they should bein charge of conveying the house rules toevery family member in order to achieve better communication and a respectful, balanced relationship. Health problems are one of the leading factors of a pet's discomfort. Therefore, veterinary check-ups from puppyhood well into their old age are a must for their growth and well-being. We are what we eat, and our pet is no different. A balanced and high quality diet will have an impact on our pet's health and behavior. Before training a dog, they must be educated to ensure a happy, daily life. Educating our pet from the very beginning will allow usto enjoy a happy life together and avoid any kind of conflict with us or others. Physical exercise is not simply meant to tire our dog, but it is also an incredible way to benefit their health, increase their life expectancy and, most importantly, it will allow us to spend time together and strengthen our bond. Your pet's health relies on your commitment to provide an exercise outlet and a healthy diet. Your dogor cat requires a clean environment, fresh food and water to ensure that there isno bacteria present in their plates or resting places, regular baths and a dedicated place todo their business. Apart from that, their fur should beregularly checked and all the relevant treatments must be applied to control flea and ticks. A proper veterinary care that caters to the animal’s physical and emotional needs since puppyhood is essential for their growth. Additionally, vaccinations are mandatory to ensure society’s and other animal’s health. Scheduled check-ups are mandatory, so it is recommended to keep their medical history at hand at all times. A healthy, balanced diet prevents obesity in cats and dogs; in other words, certain diseases are prevented and their life expectancy is also increased. Not to mention you are protecting their organism from bacteria and viruses. As we have already pointed out, dogs are not simply pets or objects, they demand physical activity in order to achieve a physical and emotional well-being. Following Natural Gos’s commitment to the animal’s well-being, we believe that the bond between animal and handler must be strengthened with different sports. 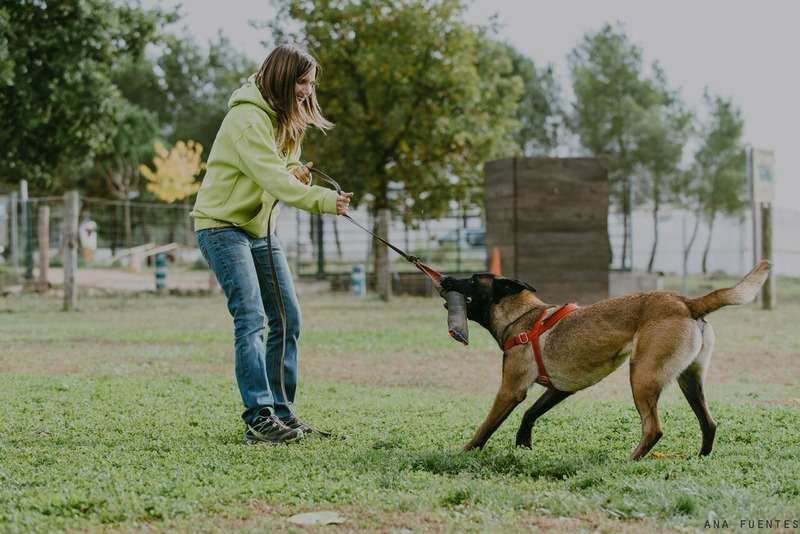 These fun activities will keep both dog and handler motivated, as they learn, grow, communicate and exercise together. Sport activities offer emotional and physical benefits for you and your dog! Our facilities, surrounded by nature, provide everything that you need to train on a flexible schedule. Diet and health-related problems are pretty common nowadays. Unfortunately, these issues can also be passed down to our cats and dogs. Both humans and animals need exercise… it’s in our own nature and it’s a great way to strengthen our bond! Por esto, en Natural Gos offers a wide range of sport activities that you can do with your pet on a flexible schedule, on your own or as part of a group, and always under our team‘s supervision. Each sport is unique and has its own set of advantages to cater different temperamental traits; however, every one of them improves communication and understanding, which leads to a better relationship. ¡A practicar y motivaros juntos!